Twenty-six poachers have been caught at night after a new thermal and infrared camera and software system was introduced in Kenya's famed Maasai Mara and its other national parks, WWF said on Monday. The technology combines the imaging with human detection software and was developed by the World Wildlife Fund. 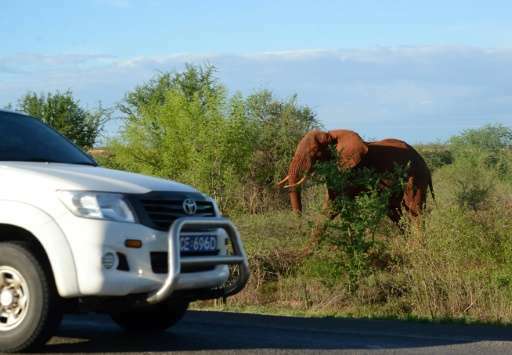 "Nine months after the tech's installation, more than two dozen poachers have been arrested in the Maasai Mara and two poachers have been apprehended at another undisclosed national park in Kenya," a statement said. Africa's elephant population has been reduced by about 30 percent overall in just the period 2007 to 2014, the journal Nature Communications said this month. The dramatic fall is mainly due to poaching. "Poachers can no longer use the cover of night to run and hide. Their days of evading arrest are over," said Colby Loucks, WWF's Wildlife Crime Technology project leader. "This groundbreaking technology allows them to search for poachers 24 hours a day, from up to a mile away, in pitch darkness," he said. Brian Heath, CEO and Director of the Mara Conservancy, said the "remarkable" new technology was helping rangers distinguish potential poachers from a large distance. "The last three people our team arrested were flabbergasted as to how they were detected. Normally they simply sneak away when an ambush is sprung and avoid detection. Now, their heat signatures are picked up by the thermal camera. We're catching them."